This is the ultimate white gloved experience of Malaysia! With the finest luxury car, some of the best accommodation in Malaysia, and a superior VIP service delivered by a team of local travel experts, uncover the highlights of peninsular Malaysia at your own pace! 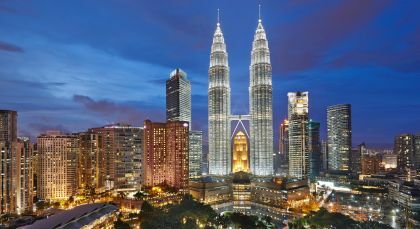 From the bustle and activity of Kuala Lumpur to a verdant natural paradise in the Cameron Highlands, and the historic city of Penang ,to the celebrated beaches of Langkawi, this Malaysia tour promises in-depth insights into this beautiful peninsula. Experience Kuala Lumpur’s fascinating heritage and culture on this unique day tour. The city’s heritage and cuisine go hand in hand – where one offers you visual enchantment, the other delights your taste buds. A walk around the city is ideal for discovering the local cuisine and culture in the company of your local guide. Sample some of Malaysia’s most famous dishes, as you walk down to visit the centuries old Jamek Mosque, the ancient Hindu Sri Maha Mariamman Temple and the old Central Market. Sample as many authentic dishes as you wish, including the delicious Nasi Lemak, Roti Canai, Hokkien Mee, Grilled Fish and Chee Cheong Fan. (Half Day, Public Transport, Private Guide; Duration: 5 hrs; Meal included: Lunch or Dinner; Fitness Level: Easy; Please bring sun glasses, a hat and comfortable walking shoes). 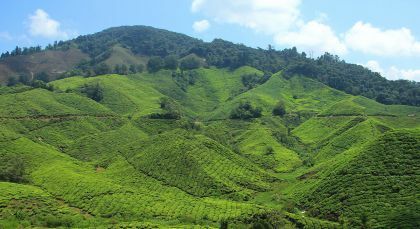 Cameron Highlands is a velvety emerald expanse of undulating hill country that exudes fresh air and charm by the gallons! 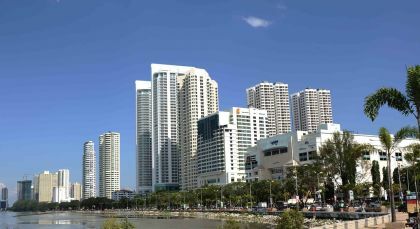 Penang is a coastal slice of Malaysia that lies right by the Strait of Malacca. It is perhaps one of the most cosmopolitan and diverse travel destinations on the face of this earth. Experience the distinctive charm of Penang Island on this all day tour. Enjoy a cable train ride along the picturesque cliff up Penang Hill. Start off from the iconic Malay-Chinese shrine, Kek Lok Si Temple, the oldest Buddhist temple in the country, and climb right up to the statue of the Goddess of Mercy. Pass beautiful gardens and local settlements on the charming train ride. Drop by typical fishing and other traditional Malay villages as you wind your way along the hill, discovering everyday life on this island. You may also visit a traditional Snake Temple and the Penang Bridge. Take in the sights and smells of the local, tropical fruit bazaars with their exotic produce! Breathe in the fresh air at the top of Penang Hill, Malaysia’s oldest hill station, and drink in the panoramic view of the countryside around you. (Full Day; Private Activity & Transfer; Time of Day: Morning; Duration: 8 hrs; Fitness level: Easy). 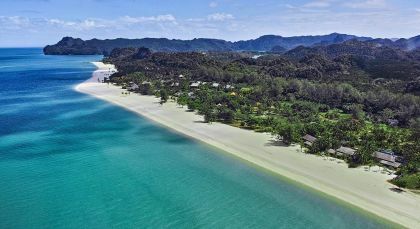 Langkawi, the Jewel of the Malay state of Kedah, is all that you have imagined a tropical paradise to be – and so much more!